Summoners War by Com2uS Corp.
Today we present to you a raid guide for Summoners War, with all the information you need to raid successfully in the game. This guide is for the overall community and anyone who wants a better understanding of what it takes to raid. Unlike many top players, we play with a fantastic group of more casual players and F2Ps(who will probably be blown away by both the eloquence and fluidity of this guide when compared to our normal garbled tablet typing in /gchat LOL). While they may be more casual or F2P or a combination of both, we consider them excellent players nonetheless and am hoping this guide will not only save time but mistakes which will hinder the slightly-less-than-diehard-player’s rate of progress. A monster guide. We will give examples and a few recommendations of often used monsters but we will not attempt to do is give a cookie-cutter list of must have specific monsters because we do not think one can exist for this content. Some units(Colleen/Kona etc.) fit naturally into the raid setting, are easy to farm, skillup, and fill multiple core roles HOWEVER this does not mean you must have 1 to succeed. This is not a boss abilities list, please have a basic understanding of the boss and abilities prior to reading though we will mention these abilities from time to time. A comprehensive guide on Raid theory for levels 3-5, including monster examples, baseline stats how/why to structure raids. We ourself have cleared 4 on opening day(brute force) however, am not currently farming 5, so for some of the content in this guide we will need to rely on the community for the appropriate stats(baseline). The primary goal of any level raid is first and foremost – survival. That means survival of all monsters on all 3 teams. The secondary goal is killing the raid boss (in a timely manner). The secondary goal cannot be achieved without the primary goal and this leads to raid make-up. Your raid make-up needs to be about units that will keep you and your teammates alive throughout the entire encounter. If you are consistently making it to 20% and wiping and you have met the basic stat and core unit requirements your raid make-up will need adjusted for more survival. If you are clearing easily and your teams HP bars are barely budging then you can begin to focus on speeding up the secondary goal which is killing the boss. The primary Goal – survival- can be broken down in terms of party requirements and again at the raid-level requirements. Example: every party requires healers to survive however only the Raid requires the necessary Core Debuffs to survive. It’s this difference that allows for such a wide difference in team compositions. Anything required at the core raid level can be brought by 1, 2 or all 3 party members. However anything at the core party level is required by all 3 party members. Among top players there has been a general consensus reached on TYPE of units that the raid must have. Core units are units that at are required for survival. How many depends ENTIRELY on you and your teams’ specific make-up and what you can get away with. You will notice that some specific monsters can fill 2 sometimes even 3 or 4 core and secondary roles as either primary or backups. These are the most desirable monsters for a raid. If you are reading a monsters skill set and it doesn’t fall into one of the CORE categories, it is not a raid recommended monster. Secondary units are NOT NECESSARILY required by everyone however may still be useful at either the Raid or Individual Party Level and furthermore should be looked at and experimented with to solve individual problems(example – ATB boosters from our first post are a secondary unit at the individual party level.) An important note, while we consider only 2 debuffs absolutely necessary(Heal and Attack Break) for survival we are going to include the other 3 in the core raid section to not overly complicate the way we’ve broken down these classification. Originally 3 of the debuffs we’re in a now deleted classification however this is much simpler. In the end we consider ALL 5 mentioned debuffs a requirement for success at level 5 even though 2 may be slightly more important than the other 3. So while overall, debuff:speed and debuff:defense are required, if you happen to miss once on an application it shouldn’t cause your raid to wipe whereas missing a debuff:attbreak before the boss lands a Total Annihilation attack will. Primary Debuffers – The ideal primary debuffer units are those who have the debuff on the first skill. Not only is the debuff not on a skill with a cooldown, this allows you to use revenge runes for more chances to apply on any one of the bosses attacks. Furthermore because frontline Tanks suffer from an additional attack from the boss it’s even more ideal if this is on the first skill of a frontline Tank who is using revenge runes. Back-Up Debuffers – These units do not have a 1st skill debuff but have the required debuff on a Cooldown. These units are less-desirable than primary debuffers, however they are still incredibly useful if these units can still fill another Core requirement. These are the most Important Raid-Level Units as mentioned above they are required for achievement of primary raid goal –survival- and serve the interest of ALL 3 players parties. Again because they are raid-wide they do not necessarily need to be brought by all 3 members. Due the Bosses Total Annihilation Ability the attack break debuff is the only way to survive at Raid Levels 4 and 5, you can do it at level 3 without but it’s incredibly difficult on the final breath(last 25%)and still will require glancing as a backup and insanely runed units. Aside from that ability the boss has a number of other attacks and all combined this 1 debuff spares you and your healers an astronomical amount of damage. Raid Theory Composition – You want this debuff on 100% of the time or as close as you can get. A typical raid may run 1-3 primary Attbreak:debuffers and 2 or more back-ups though these numbers will vary widely. A good rule of thumb is if you are not having issues dying from the Boss Attack Total Annihilation then you have enough and can probably experiment with reducing. You will want all the primary’s to have at least one set of revenge however you can run a full revenge set as well, its really up to the raid’s individual needs. Rageful Roar causes the boss to remove all party buffs and heal and stun and permanently increase his attack power. At levels 4 and 5 if this debuff is not up he will heal so much that it mitigates any amount damage done prior and eventually wipe the raid. Raid Theory Composition is the same as the Debuff:att break, use as much as you need to have a 90%+ uptime, if you cannot out damage the boss’s heals focus on bring more primary or back-up Debuffer:Heals. This slows the Boss. And as you get up to Raid Level 5 the boss gets fast. Real Fast. This debuff allows not only your healers to get off more heals, it allows all other debuffs more chances to apply and more damage in between the boss attacks. Theory – Like all the debuffs Ideally this is up as much as possible and on primary debuffers with backups if needed. Example Units Primary – Hwa Back-up example Shannon for the lich examples but Technically primary debuff units. Important for killing the boss, secondary effect for survival. We’re not going to go into great explanation of defense break, it is needed because as the fights drag on the boss gains in strength. The glancing debuff probably deserves its own section and is one of the most widely misunderstood of the debuffs. What glancing does Accuracy is reduced and the chance for the monster to land a Glancing Hit of reduced damage will increase. Glancing does not prevent crits, it reduces them by 50% by causing glancing hits(which can’t crit). Glancing does not prevent debuffs from applying it reduces accuracy by 50%, which when coupled again high-resist monsters will greatly reduce the amount of debuffs coming from the boss, however, it will not prevent all of them. The biggest problem with glancing is that there are very few units that have this debuff and even fewer who could be considered raid viable multi-use units. The good news – everyone’s favorite C-word, Chasun, has this as an effect on her 1st skill(think primary debuffer). The bad news – pretty much every unit including chasun(maybe pass on the revenge runes for her) has an abysmal rate of success at landing glancing even with skillups(50%). Because of this, ideally 2-3 people will have and use chasun, and 1-2 will use an additional unit that can cause glancing(read:lisa). These are units at the individual level(your party) who are a requirement for you to survive but not other members of the Raid. Of course if you die, everyone else will follow. Even with the appropriate Raid level debuffs healers are a requirement. They refill health bars. There are classes of healers. Smart Vs. Dumb Healing is how the AI of a healer will use its’ heals. A smart healer will only use a heal when a unit or parties health requires it. A dumb healer has a buff attached to a heal and will use the heal when its off CoolDown regardless of whether the partys respective health bars are in danger or not. Raid Theory – This is going to be one of the most varied of all the party core units. People who have an Ariel for example will need less healers overall than those who don’t. There are a few rules of thumb that you can use to gauge whether your individual parties healing is enough. – If your party is wiping from boss damage alone and not from Total Annihilation, you need more AOE healers smart and dumb. – If your lowest HP unit dies on bad rng runs you may need more Single target healing. – If you are unable to add any more healers increasing the individual healers speeds or balancing with att bar increasers or reducers secondary units can solve these problems. Of the core party requirements this is the hardest to balance and usually take up the most amount of space in a party which is why most highly desired healers often serve a myriad of other roles at the same time. Look to the Raid Analysis Section to see the team breakdown of healers for a succesful Level 5 Raid clear. If we were to have overall party issues with healing we would look to add a Smart AOE healer first over increasing the speed of our dumb healers. A cleanser cleanses ALL debuffs. A primary cleanser is one who removes ALL debuffs at once with a 3 or 4 turn cooldown. Veromos is not a primary cleanser. He’s a debuff remover and falls under secondary use unit or backup cleanser(at best). Immunity is NOT a cleanser and falls under secondary units : buff. Look, we are not saying that units possessing these above skills are not useful, what we are saying is that in order to succeed at Level 4 and 5 you need to have 1 primary cleanser and these units don’t count. The big test for primary Vs. back-up is if your cleanser is routinely(enough speed and resistance) able to clear the debuffs and stuns after rageful roar. Resistance plays an important role and will be covered in the Stats section. Tanks are for the frontline. When it comes to tanking Defense is superior to HP however you still want an acceptable amount of HP(% based heals) as well and this will be covered in the Stats section. Raid Theory – THERE ARE NO PRIMARY TANKS Do not underestimate this point. This means you shouldn’t bring a unit with high Def for the primary purpose of tanking but rather bring your other required units and the ones with a high baseline Def can be augmented correctly with runes to stand on the frontline. Correct – Ariel is brought for healing, but due to the high baseline Def and nature of AA’s in general he is runed appropriately HP/DEF/DEF(or any combination) and is able to tank as well. Incorrect – The water golem has a high base defense and can be runed to stand on the front line, aside from that he brings 0 of the Core Raid and Party requirements. As long as the baseline stats are met in the stats sections ANY UNIT can effectively tank, this means if you can get Kona’s def and hp up to snuff, yes your head buster can hold the frontline toe to toe with an AA. Violent/Nemesis runes on healer tanks and Violent/revenge or Rev/Rev/Rev on primary debuff tanks are ideal. There’s a lot of question over how many to use on the frontline vs the backline and to me it seems like a simple answer. If you have additional stat requirements for a unit to be able to stand on the front line, then logically you would want the fewest amount of units to stand on the front as all your runes are going to go towards those units tanking ability. This frees up the most amount of monsters on the back to be runed more effectively for whatever their primary and backup roles maybe. The ONE exception to this rule is that if you naturally already had 3 units who met the stat requirements(or close)for Frontline while fulfilling all other roles of the Raid and Party then it would be logical to have those 3 units front splitting the damage more evenly. Ideal is 2 front 4 back – unless you meet the very specific condition mentioned above. Finally, everyone’s favorite part of the game. We are using the term Nuke even though what we really mean is a high damage output unit. We also have this as a secondary Raid level unit because Damage dealers are not first-order crucial to the raid’s goal of survivability. However we’d be wrong if we said nukes weren’t necessary to a degree. They are however much much less necessary than you would think and are ultimately used for balancing the speed of runs. At the individual party level a dedicated nuke is not a requirement for every party so damage dealers in general fall under Raid Level – Secondary. The best Damage dealers ignore defense. The best raid damage dealers ignore defense and can serve any of the core roles as primary or secondary mentioned above. The placement of Damage Dealers in this guide was not by accident. Damage Dealers that are good for raid that still needs to meet its core requirements should also be able to fill roles above this section. Damage dealers that are less useful for raid will fill rolesbelow this section. The one slight exception to this is HWA and we’ll explain below but in general this holds true. We use Seara, and as others have mentioned, Bombs are a debuff and do not count towards the damage counter. They do however deal amazing damage. These units are not necessary for every member of the raid to have and some are not necessary for ANY member of the raid to have, however, some of these unit types CAN troubleshoot you through sticking points you may be having, or increase overall raid efficiency or speed of runs. You shouldn’t attempt to fill any of these roles as primary units period. We are going to edit what we said in our original post about ATB Boosters, and that is once all of the Raid/Party core unit roles are filled above you should get as many of these as you can onto 1 team because in essence they are all beneficial. This is where HWA shines, because as a reducer she’s not necessarily increasing the amount of turns your debuffers are taking but reducing the amount of turns the boss is taking which in turn allows you to take more(including healers), HWA also has a Core Raid-level Debuff on a first skil(speed), is a nuke, and has a atb reducer passive. Boosters are second as they can boost the team including healers into taking more turns before the boss attacks, however this will fill his turn counter faster(as will violent). The best booster far and above is Bella as she serves multiple Primary Core Roles. This is third as a buff it can be eaten by the boss and will be up as long as max16 units movements and minimum 1units movement. However if you can reliably get it back up after it is eaten it can be incredibly useful. Due to the bosses ability to eat buffs they are less desirable than the core requirements however, they are still beneficial to an extent. If your raid is solid in keeping the Heal debuff up then healing will be kept to a minimum. While the boss will continue to eat your buffs every 16 units turns they will still benefit you until that time comes. Buffs in general are not something to be sought, it is ok if they come anyway on great units that fit multiple core roles as primary or back-ups. it is however useful if you happen to have that awesome DPS unit whose HP are at the bare minimum(Hwa is always the first to die), Overall though, this is also why AOE healers are more beneficial than Single target healers. Again these skills can be incredibly useful, but only after the core requirements are met. Skill CD reducers like Mav have excellent applications with units with long Cd requirements on core skills. Damage reduction is EXCELLENT overall, the only reason it’s down here is because so few units(Darion/Dias/(Lexi is not raid viable)) have it. There is a reason you see many many Dias’s frontline tanking on Level 5 and every day we die a little inside for not saving one from the Secret dungeon(we farmed 15). Fedora and amazing runes bring little solace. Team leaders that affect ALL > Team leads who only help a Specific element. If you can’t reach the maximum(and not everyone will have access to tessa or praha immediately) Some is always better than none so follow the list and use a lesser unit or element specific(delphoi serves an excellent role for wind) you do have access to. This is the one instance where you will want to bring a unit, that if the only thing it did we’re to provide a 41% resist all, it would still be worth bringing. Resistance is CRUCIAL. When coupled with glancing debuff this will greatly reduce the amount of debuffs and more importantly STUNS that your party receives. Speed makes the world go ‘round, Seara and Jamire are good examples. Both are beneficial and someone posted in the comments section the break-even formula of when defense start to outpace HP. However we thought long and hard about this tonight and we think we’ve got a satisfactory explanation. The first thing to remember is that either of these leads is % and applies to BASE stats. Ahhh. That’s right, so indeed Def% is more beneficial, unless a unit has a lower base defense stat The reasoning is that a lower base defense will benefit less from a % increase than a higher base defense. Someone with math can probably figure it out but if say A unit has 600 defense a 33% increase would add 200 additional points where as a 400(or even lower for poor perna users) would only gain 132 point increase in defense. Those with higher base pools(ie Tanks) benefit more from a Def% lead whereas units with lower base defenses(many backline units) benefit from a HP% lead. Overall ALL units benefit from both but one being chosen over the other is entirely dependent on each individual raiding party’s situation. We do think the %-based heals argument holds some water even though we pointed out that while HP% increases the health pool available to be healed, Def% reduces the damage received thereby mitigating to an extent the amount actually needed to be healed. But for units with lower base defense this mitigation is much smaller and HP% does in fact benefit them more. We do think the logic of this has been solved, if someone could post the math to back it up we will rest this once and for all. Now that you have a basic understanding of what Unit types to bring, we can start to talk about the Ideal units for raid. Ideal raiding units will on average cover 3-4 Core and Secondary functions, and the more they can do as a primary versus a backup, the better. Colleen has slightly less-awesomness than Dias, however she does cover the most important 2 debuffs, 1 as a primary and 1 as a back-up, she also serves a core party role. She’s also a 2-star and even the lowliest f2p can acquire. Now let’s see if our original on the general suckiness of ATB boosters holds up for Bernard. At first glance Bernard is filling 5 roles! That’s as many as Dias! Upon closer look though, he’s got 0 primary core roles, 2 core back-ups and 2 secondary’s. As to bernard’s tankiness(what we call the Bernard paradox), he’s got a high base def, but runeing him for tank would hinder his use of an ATB booster, as runeing for Tank inherently runes him for less speed(im sure there are going to be people trying to prove me wrong, but regardless of how tanky you make your ‘fast’ Bernard, its easier to make him faster without runeing for tankiness period) which means less applications of ATB-Boost and speed buff. This is why there is general confusion on whether to use units like Bernard over actual excellent units. This is where raid theory comes in. The best raid units will be able to fill both Core and Secondary roles as both primary and back-ups, and you cannot rely on back-ups for application of a crucial debuff by themselves. We’re only going to post 1 right now but will add a more current breakdown later. This is time-consuming, HOWVER, if other players want to break-down their own level 5 farm teams and send me the info we will post it below in addition to your name next to it you’ll have our eternal gratitude. What’s telling is this team is has very few dedicated damage dealers, ample heals, and ample amounts of debuffs all of which fits the theories outlined in this guide perfectly. You can also see that while Team 3 has the fewest amount of smart aoe heals and overall healers, they compensate for this with the largest range of atb-reducers and secondary units. Our analysis however is that by simply adding an additional AOE healer they could remove a considerable amount of the secondary units that are brought to the table. Speed Is king in raids, which may sound counter-intuitive to our original argument against ATB-Boosters, however individual units speed is extremely important. Higher speed on healers increases heal throughput, and reduces party stress from damage. Higher speed on debuffers can be countered to some extent with revenge runes thereby lowering your min/max runing requirements and making them add less to the boss counter. However we are huge proponent of Speed on slot 2 for Primary damage dealers on violent rune sets. We will change this view if someone can show me mathematically that we’re wrong, otherwise we recommend speed slot 2 for any primary damage dealer in the back, even units like perna(whose heals also benefit from this btw). Who you don’t want to speed slot 2….your frontline. Finally a use for those Slot 6 resist runes! Not quite….hopefully you will have access to a 41% resist lead which means your resist requirements are much much lower to avoid the plague of debuffs that the boss spews. – Who you should worry about max resisting at all costs – your cleanser. – Who you should denfinitley try to max resist as much as possible – any of your AOE healers. – Who you should stack as much as you can up to 59% without sacrificing huge losses of stats elsewhere – anyone else. Resist is that important, not so much for avoiding the debuffs(although it helps a ton), but rather for ‘THE STUN’ which always seems to come at the most inopportune time. Keep in minds these numbers can fluctuate up or downwards depending on serveral variables, including healer speed, amount of healers and secondary effects like ATB reducers and boosters and Dmg Reduction. Backliners – Try not to put Def% for 2/4/6 slots for your Backliner’s HP% is far more valuable. Make up for def% on subs if you can. Once you hit the Defense recommendations for frontline you should build the rest of your tanks with HP, though never skimp on defense for more HP. Many people ask is Def/HP/HP better or Def/Def/HP? Well that depends entirely on your units BASE stats. – If they have a naturally HIGH base Defense, then Def/def/hp is better. – If they have a lower base defense and a naturally high HP then Hp/hp/def is better. – If they have a low base def and a low base HP you may want to reassess your designation of ‘tank’ for that particular unit. Example – Chasun has 582 base def and while she CAN be a tank most who are using her for tank are running hp/hp/hp and trying to make up the defense on subs. This is only because most people use chasun to some extent for PVP. If you do not use chasun for PVP an all around better raid build is HP/HP/DEF and use the subs to max speed and resistance. Backline units have minimum threshold HP requirements however the only ones that ever come close are Primary Damage dealers. Support and healers on the backline typically have enough hp to survive although more is better. Lastly, HP overall is far more important for the raid the defense in terms of Heals. Most healers AOE heals are % based on hp, so the more HP your individual units have the more each will heal. Minor things like this become HUGE at level 5. If debuffs are the skills that keep you alive, accuracy is the stat. Who Benefits the most from it – Debuffers – accuracy on healers and damage dealers doesn’t matter unless they also can apply debuffs. If you’re a stickler like me then the primary debuff units who apply the ultimate survival debuffs, att break and glancing we try to get 100%. This can be difficult however if you are running vio/rev or rev/rev/rev and do not have access to amazing runes. You still want as much as you can possibly get. There’s no rule, higher is always better. This applies to the other debuffs as well, however if you running a tank as a primary debuffer, don’t sacrifice survival stats for accuracy. Thanks to user Syntac1 for the guide. 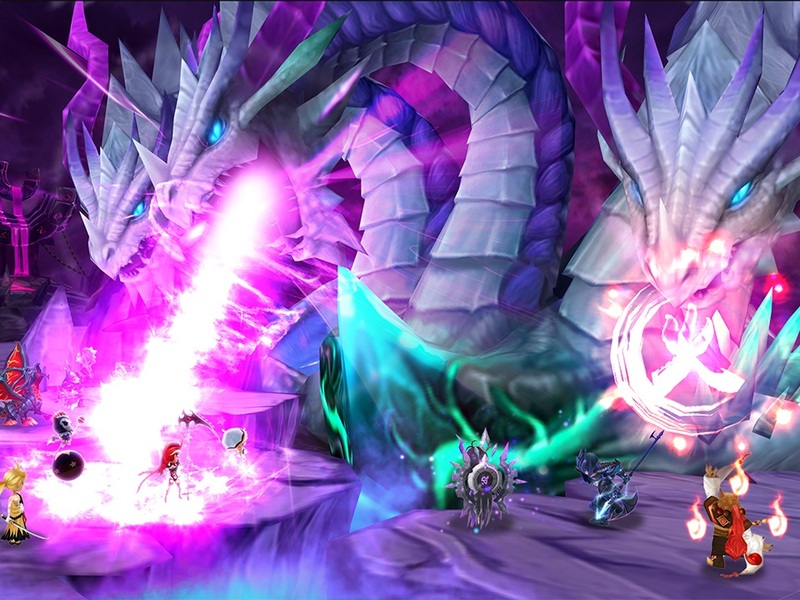 We hope you enjoyed this Summoners War Guide for Raiding. If you have any question, feedback or ideas, for this guide or Summoners War in general, please feel free to leave a comment below. Be the first to comment on "Raid Guide – Summoners War"